English: Redwing, African red-winged starling; French: Ru-fipenne morio; German: Rotschwingenstar; Spanish: Estornino de Alas Rojas Africano. 10.6-12.2 in (27-31 cm); weight 4.1-5.6 oz (117-158 g). Dark plumage with dark blue sheen. Reddish brown primaries. Eyes red. Juvenile similar to adult male, but less glossy and with brown eyes and bill. 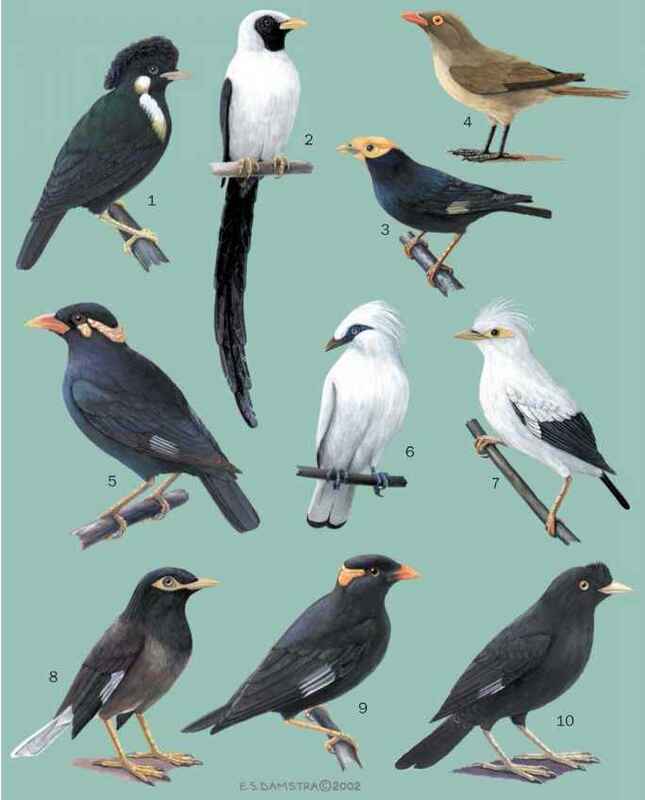 East and southeast Africa, from Kenya to South Africa; most common at 3,000-7,500 ft (915-2,285 m). Rocky hills in savanna, now commonly nests in urban areas. Endemic resident. Gathers in flocks that can at times exceed 1,000 birds. Somewhat omnivorous; eats fruits of many trees, but also takes nectar, insects, other arthropods, and small vertebrates, including nestlings of other birds. Cavity nester. Clutch of two to four blue eggs with red-brown spots is incubated mainly by the female for 13-14 days. Hatch-lings are pink with tufts of gray down on top of the head and mid-back. Both adults feed nestlings until they fledge at 22-28 days. Nest sites are often reused.